Walleye Pollock is one of the world's largest fisheries. In this volume, the first review describes the population biology of walleye Pollock including its life history, population dynamics, genetic structure, and metapopulation structure. The second review discusses pollutants and the marine environment using ecotoxicological bioassays with bivalve embryos and larvae. These tests ascertain the effects of pure chemicals and determine the quality of effluents, coastal waters, and sediments sampled in the field. 2. 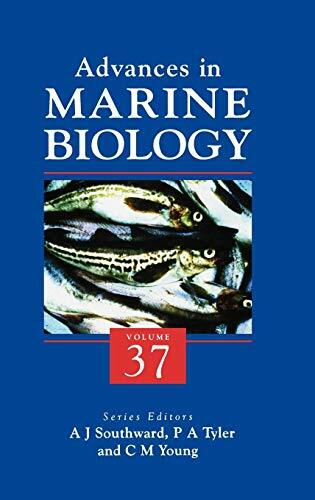 Advances in Marine Biology, Volume 37 [Hardcover] Southward, Alan J.; Tyler, Paul A. and Young, Craig M.